Preserving memories is my life’s work. It’s at the heart of everything I do, from my own personal scrapbooking to the vision I have for this company. 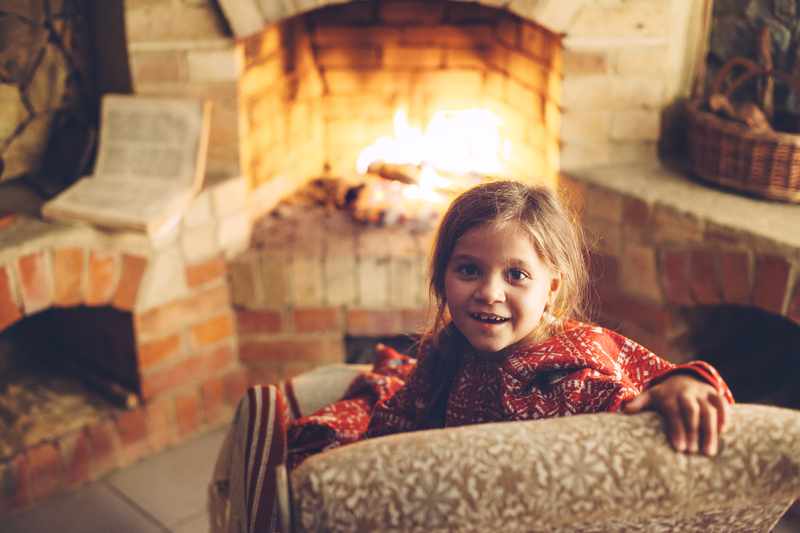 The milestones, the every day routines, the light in a child’s eye as they discover the world—these are the moments, stories, and images I seek to capture. And when I do, I carefully place them in scrapbook albums for safekeeping. Though they may just look like pretty paper and photos to someone else, they are my most prized possessions. The stories they tell are my personal history and the history of my family. It is because of my passion for memory keeping that I’m excited to launch a new series of blog posts called “Stories from the Heart.” I want you, my readers and dear friends, to look through your old scrapbooks, find a page or layout with a story you want to tell, and then share that story with the world through our blog. Stories from the Heart is a celebration of memory keeping, a reminder of why we do what we do, an opportunity to share the beautiful stories that fill our scrapbooks. 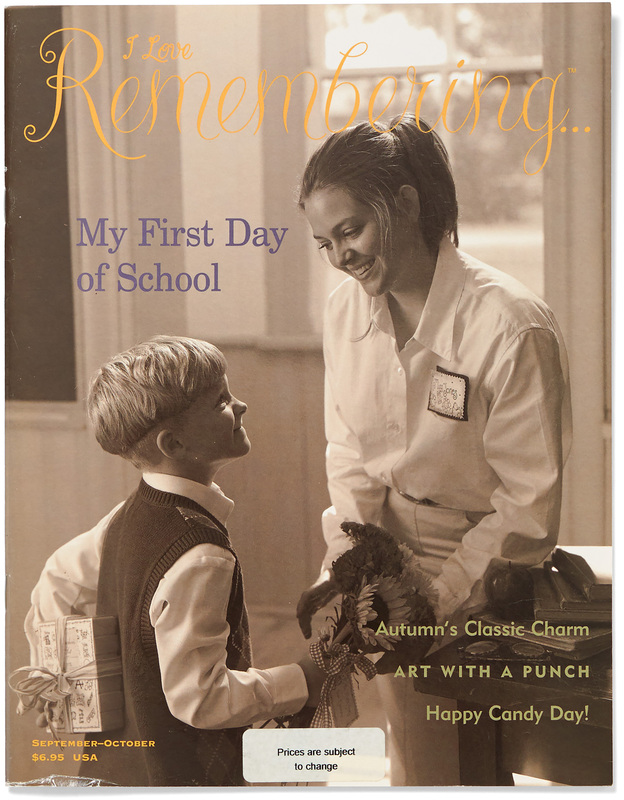 We were doing a photos shoot for the 1998 September & October edition of I Love Remembering, a magazine subscription we published back in the day. The photo shoot was in western Utah (basically in the middle of the desert! ), and we were taking pictures of my daughters, Aubrey and Rachel, in an abandoned pioneer schoolhouse. 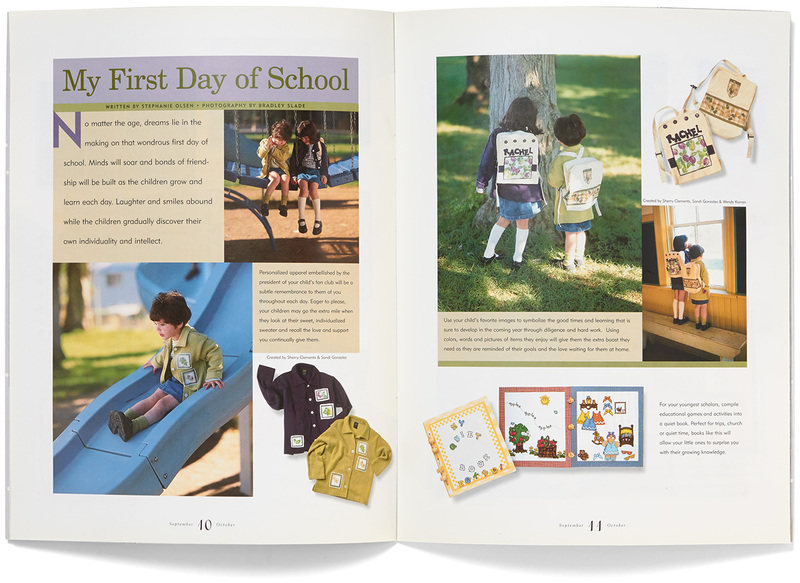 They had on these adorable matching outfits, including hand-stamped sweaters and backpacks, which were back-to-school crafting projects we’d be featuring in the magazine article. 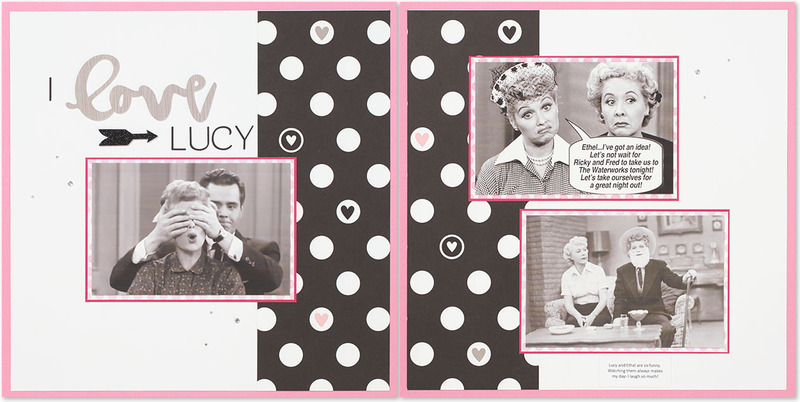 The two photos on the right page of my scrapbook layout are some additional photos taken from this photo shoot. I loved all the pictures we took that day, and I wanted to preserve some of them in my own scrapbook. The photo of the girls hugging absolutely melts my heart. It perfectly captures the love these sisters have for each other to this day. No matter how different they may be, they always have each other’s back. In contrast to these professionally staged photos, the big photo on the left page was completely unplanned! It was a scorching hot day, and after wearing those hand-stamped sweaters, Aubrey and Rachel were melting like popsicles! They went to find some shade in the schoolhouse, and when they came back out, they had taken off their little sweaters, and this beautiful scene appeared: The rustic blue door, the sunflowers Rachel was still holding from the shoot, the sweet, tired looks on their faces—it was such a perfect moment, so I had to take a picture. I think part of the reason I loved this shot was because it captured their cute little personalities. Rachael is staring at the camera head-on with confidence, holding the bouquet of flowers like a professional model. My sweet Aubrey is more shy and subdued, and you can see that in this photo by the way she is holding herself, legs turned in, arms tucked behind her back. She is my gentle, darling girl. Those are the stories behind these scrapbook photos, and I hope you enjoyed hearing them. I know I loved going down memory lane as I remembered the stories of how these photos came to be. I want to hear your stories now. As they say, a picture is worth a thousand words, and I want to hear your thousand words! 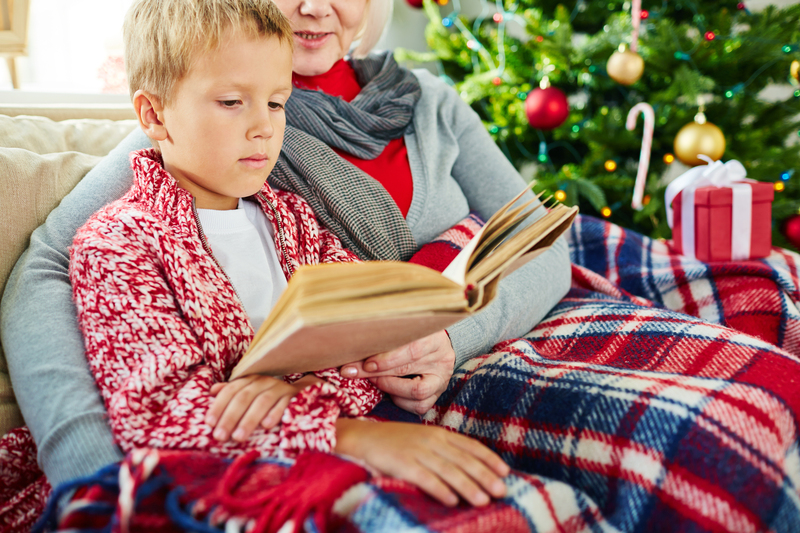 Your stories are beautiful and deserve to be shared. Help me celebrate memory keeping—and help others realize the full value of this art—by submitting your stories to us. Read the bottom of this post to find out how. Before I sign off, I just want to take a moment to thank you all for your friendship. One of the beautiful things about memory keeping is that it brings people together, and I’m so grateful for all the wonderful stories and memories I have with you. 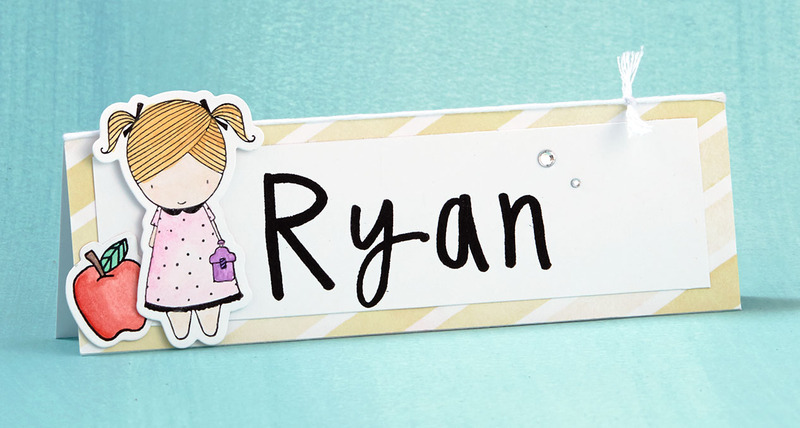 Find one scrapbook page or layout (please just one!) that you’d like to share. Tell us the story behind the photo. What was happening? Who is in the photo? Is there something funny that happened before or after the photo was taken? Why is this photo meaningful to you? 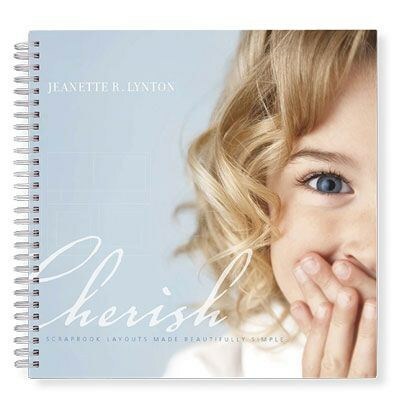 Take a high-resolution photo of yourself (you can even be holding the pages or your entire scrapbook!). 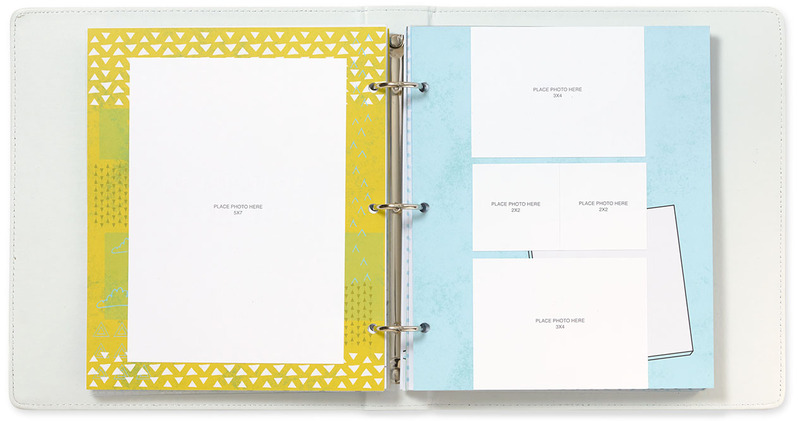 Take a high-resolution photo of the layout or page on a flat surface (use natural lighting to improve the quality, and take the pages out of the protectors so they don’t reflect in the flash). 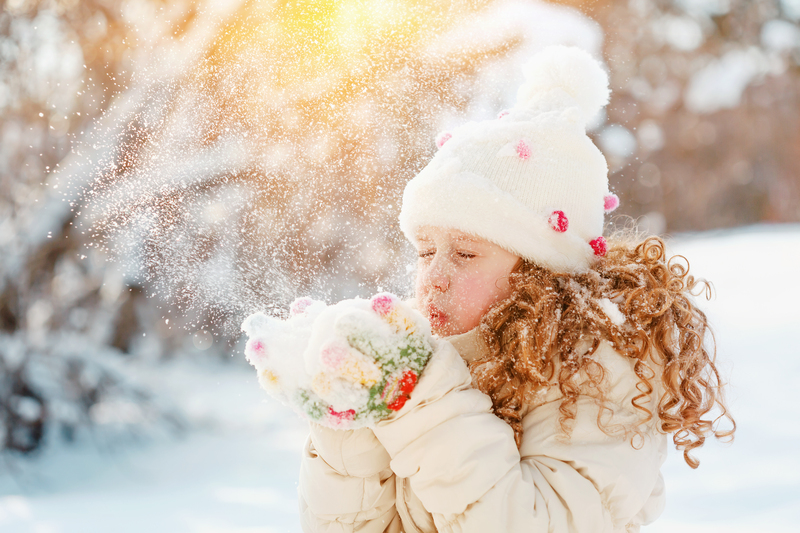 Email the photos and story to us at ctmhblog@closetomyheart.com with the subject “Stories from the Heart.” If we decide to share your story on the blog, we will contact you! If you’d love to craft but think you’re just not the “crafting type,” think again! 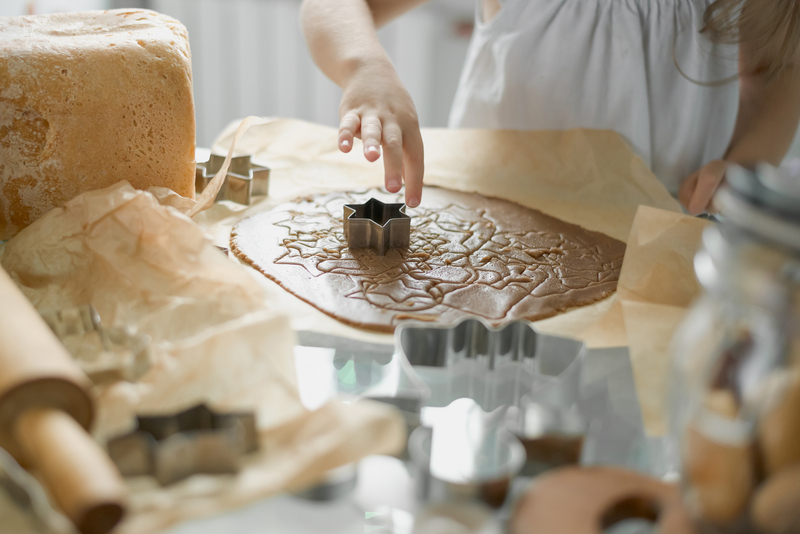 There are so many resources that make learning to craft easy, including online tutorials and Consultants that can walk you through projects right in your own home! 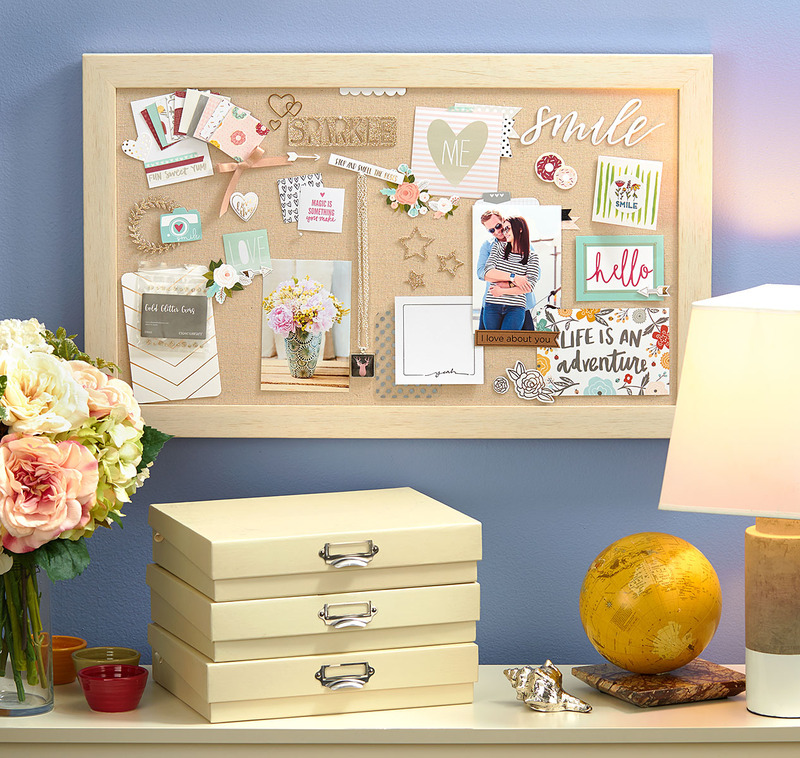 Among these great resources are beginner crafting kits, like our limited-time Welcome Home wreath kit or our new Cut Above™ scrapbooking layout kits. 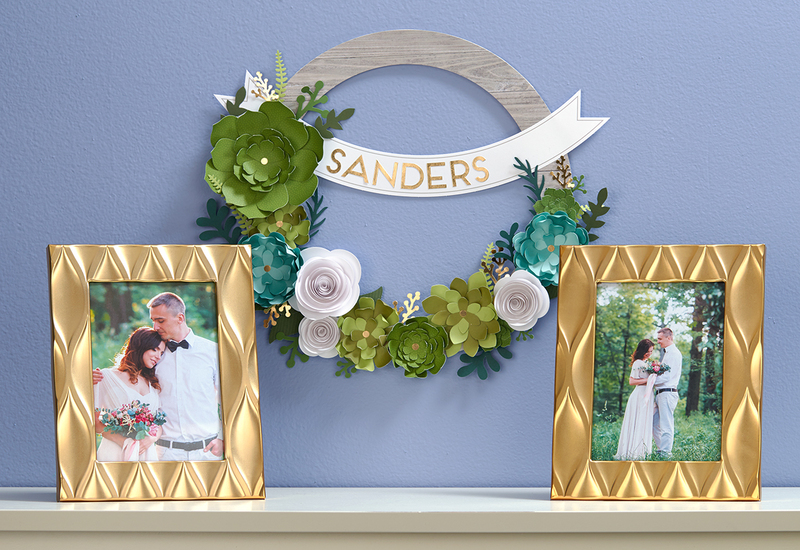 The Welcome Home wreath kit helps you create a beautiful paper succulent wreath. With pre-cut pieces you simply punch out, curl, layer, and attach, this is a wonderful place for beginners to start if they’re interested in trying out DIY home décor. It’s a great project for your first home as a married couple—or give it as a unique bridal shower or wedding present to a friend! 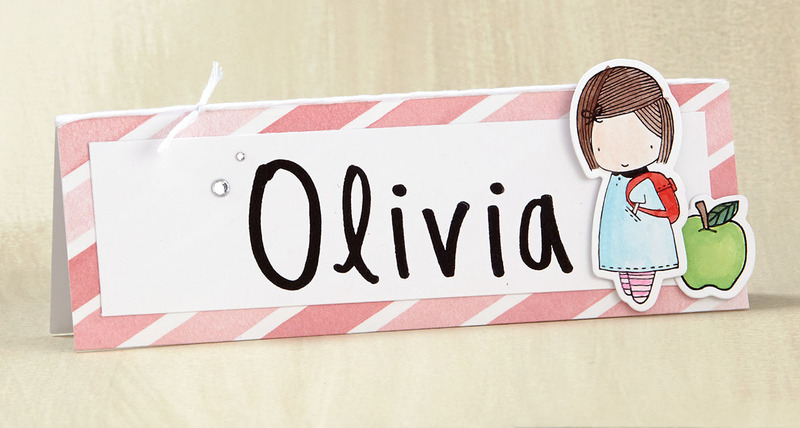 The new bride is sure to love creating something herself for her new home—especially with her new last name 😉 ! 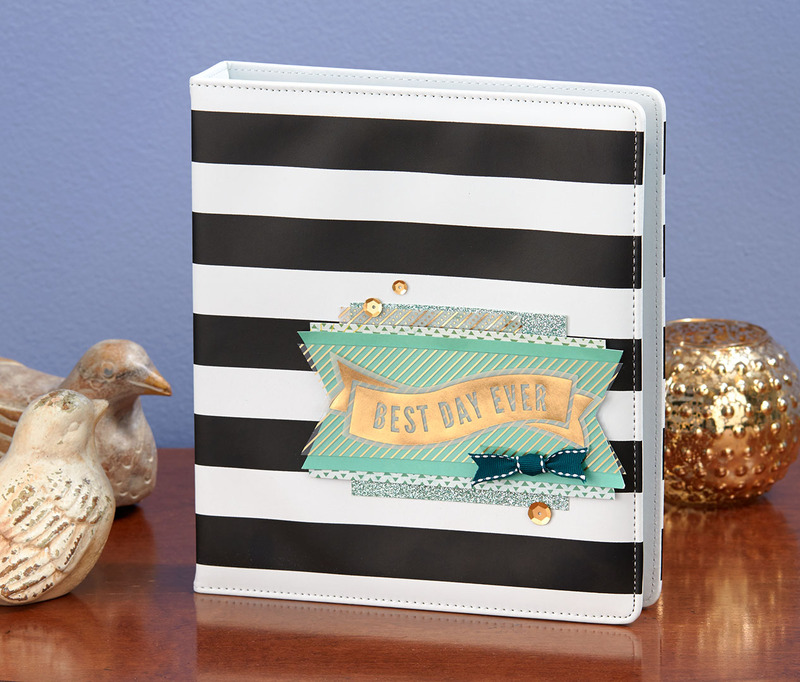 Our Cut Above™ Forever & Always layout kit is also a great beginner crafting kit for the bride. Those first few years together go by lightning fast, so start the habit of preserving your love story by doing something with all those wedding photos! Trust us, you won’t want to forget those sweet newlywed moments. 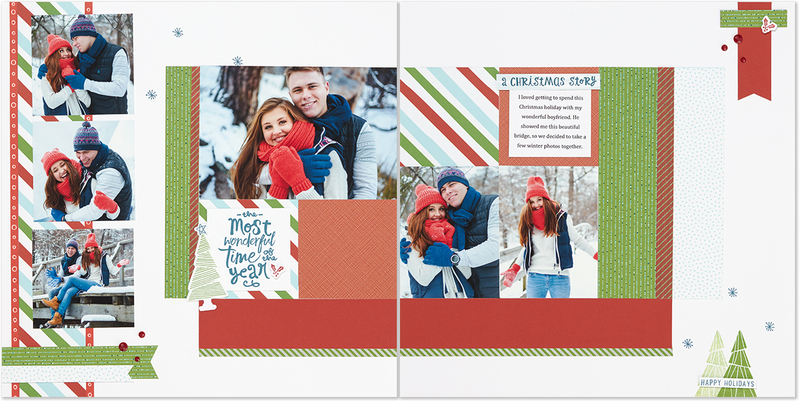 This affordable kit comes with pre-cut pieces and instructions for assembling the two pages you see in this album, as well as Memory Protectors™ to keep your pages safe. 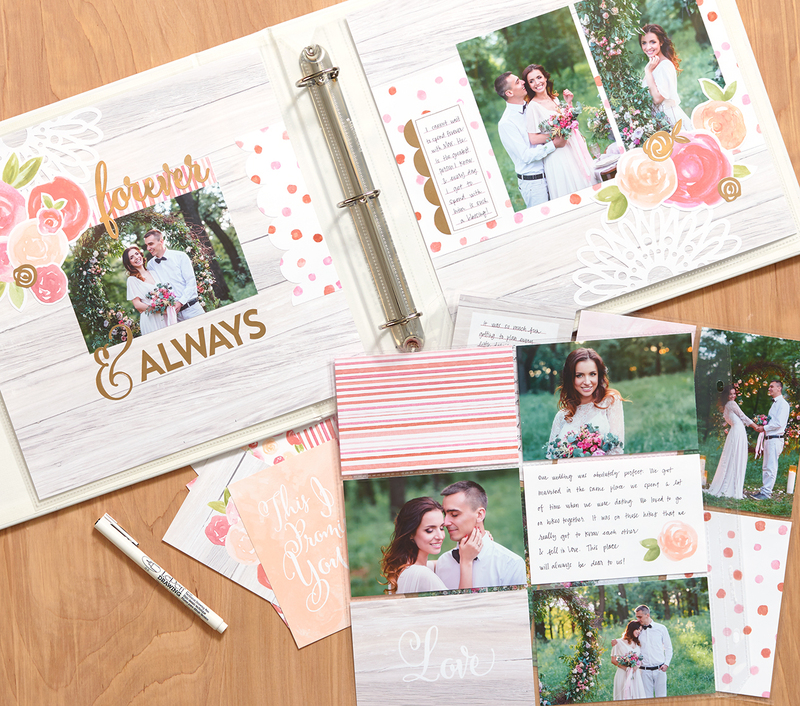 It also comes with pocket cards and two divided Memory Protectors™ to create even more pages, which fit in between your main pages for preserving additional pictures and moments from your special day! 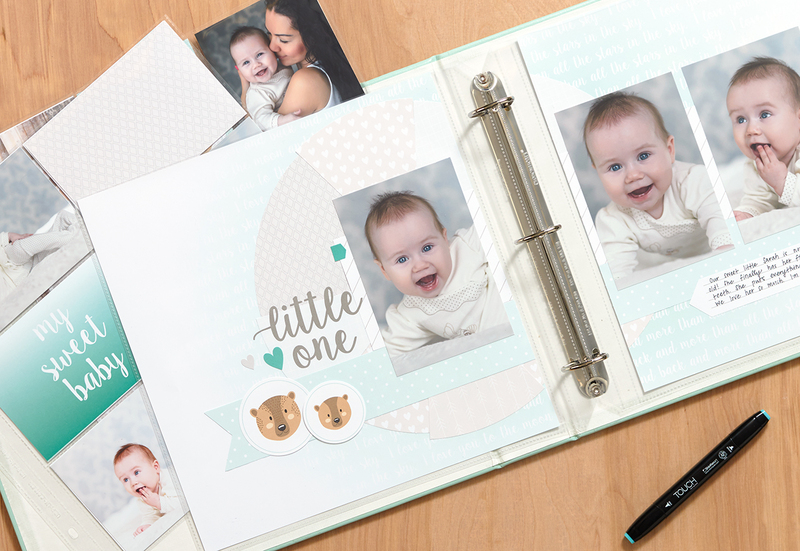 We also have a beginner Cut Above™ scrapbooking layout kit for baby photos—it’s called Little One, and it’s totally gender neutral. 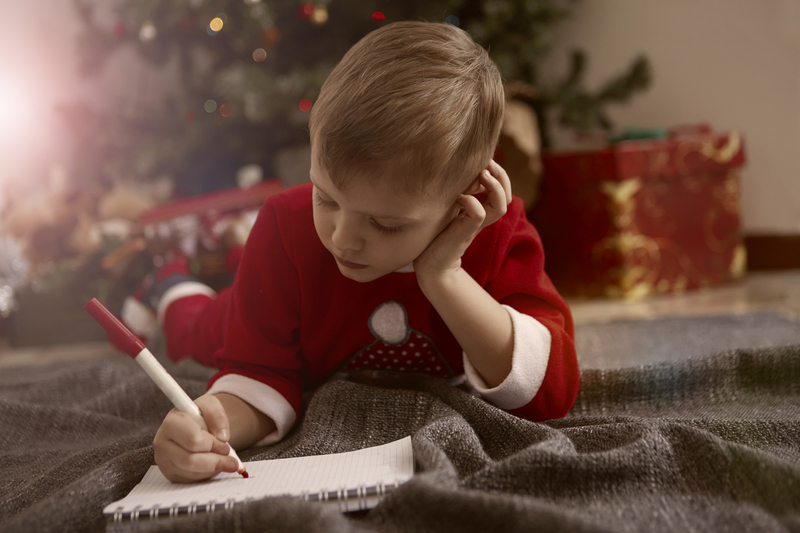 The birth of your first child is definitely the time to start thinking about preserving memories—if you haven’t already (and not in that black hole of a phone or computer, either!). 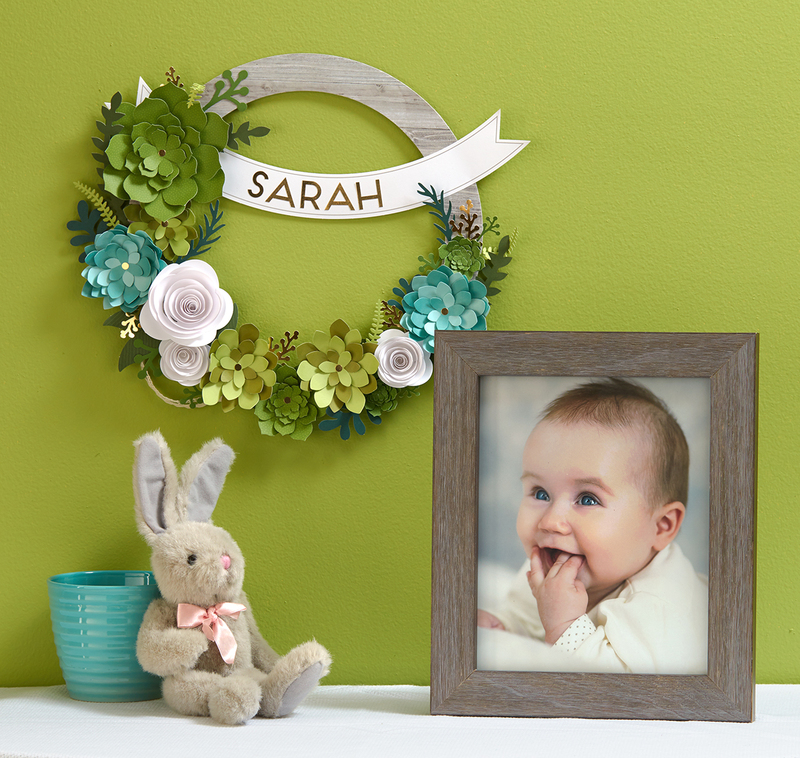 Whether you’re a newlywed, young mom, or a friend looking for a unique shower gift, the Welcome Home wreath kit and the Cut Above™ layout kits are the perfect go-to projects for beginners. 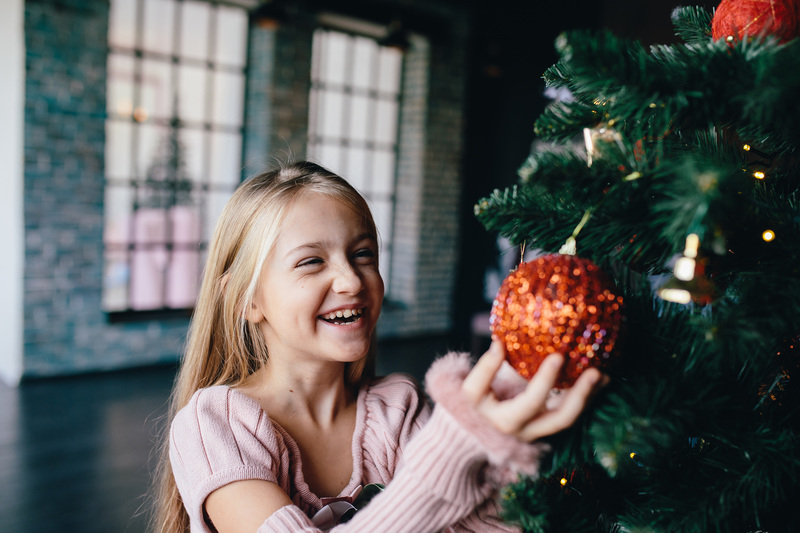 With affordable price tags and easy-to-follow instructions, these kits are sure to light a smile on anyone’s face as she discovers she can craft and make something beautiful for her family. 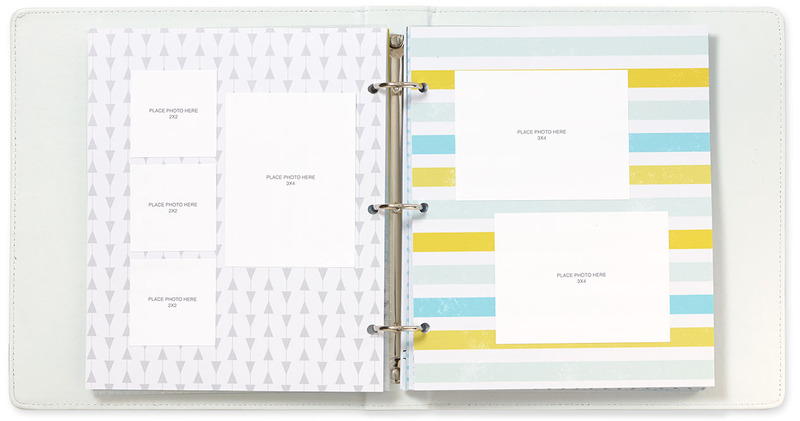 Our mini albums are a great option for those new to memory keeping, but they’re also great for experienced scrappers. However, if you’ve only ever done traditional scrapbooking, we know you may have some reservations. Let us ease your mind by addressing some common concerns about scrappin’ on a smaller scale. Today we’re going to focus specifically on our Adventure Mini Album bundles, which are 30% off this month! These bundles feature travel-themed, pre-designed, 3-ring hole-punched pages, a plush striped mini album, and a pack of either our 3″ x 4″, 4″ x 6″, or 6″ x 8″ Memory Protectors™, which are perfect for adding additional photos and other fun things. Now let’s put that stress to rest by addressing those concerns! I scrapbook chronologically. What would I use a mini album for? It won’t fit an entire year’s worth of memories! Vacation Album: Try creating a separate album for each vacation you go on. The pre-printed pages in these bundles make it easy to preserve your vacation memories in a flash, so you can relive those memories soon after you return home. These pages also work really well with our state and province stamps. 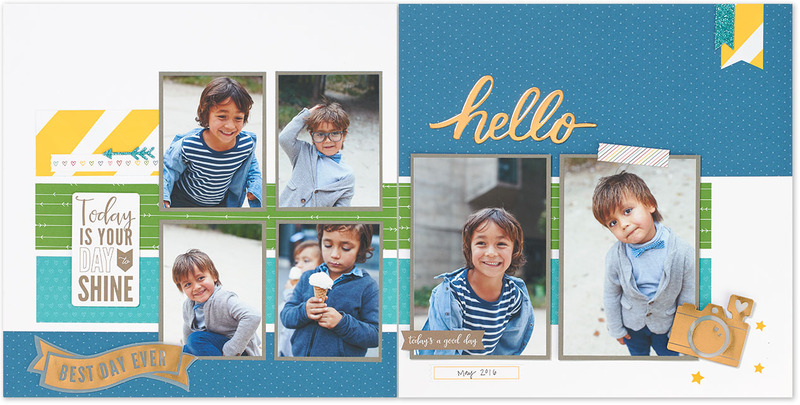 Imagine creating a mini album for a road trip or a new page each time you visit a new place—so fun! 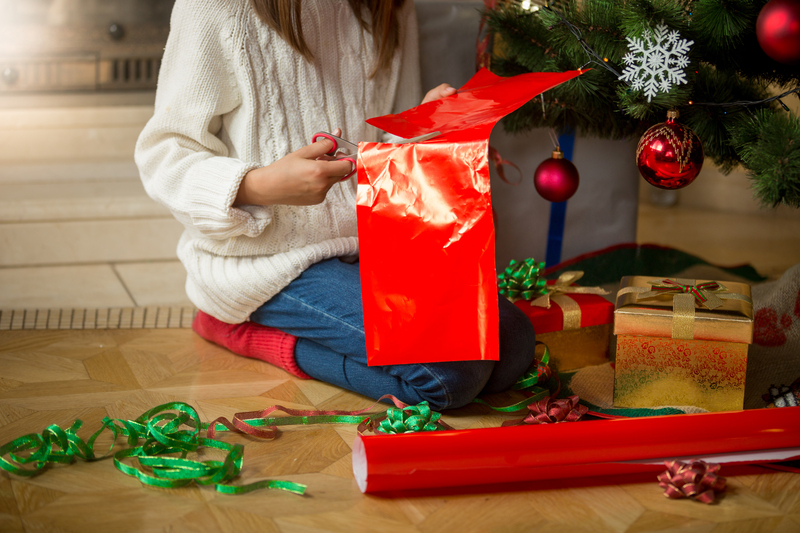 Unique Gifts: These bundles are a perfect gift for anyone because they’re so easy to put together—even for those people who don’t think they’re crafters! 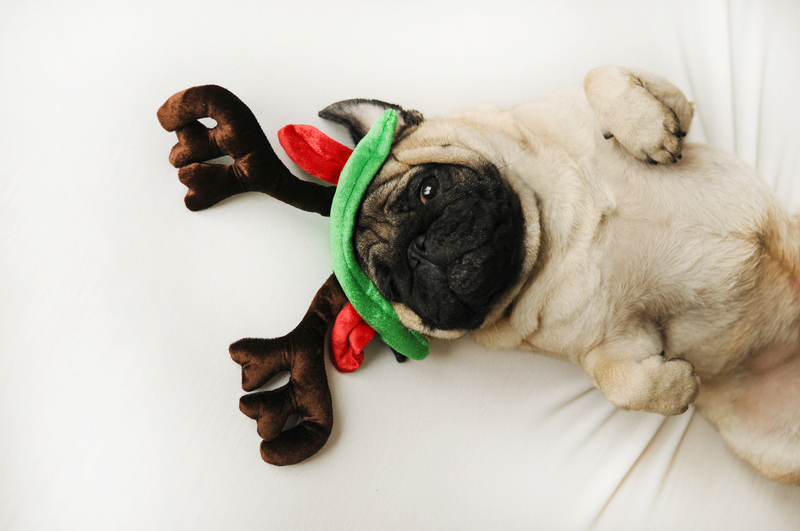 The travel theme is perfect, too, because everyone and their dog travels. 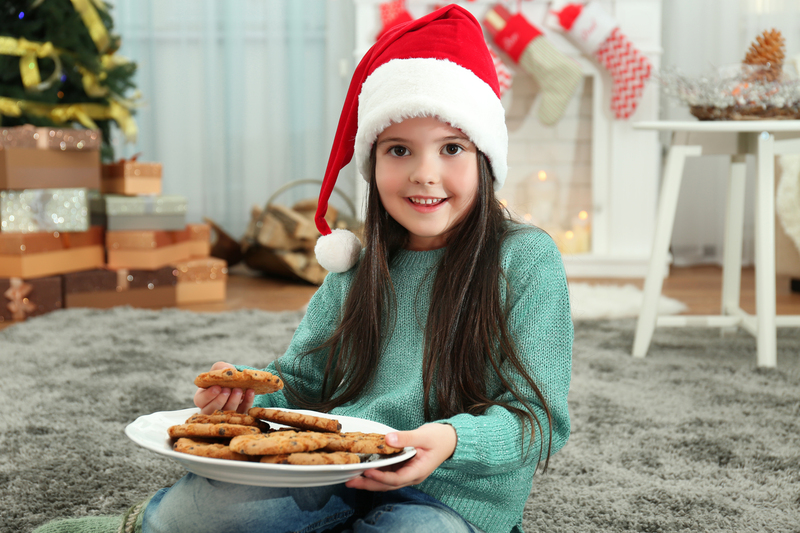 Got a friend leaving on a family trip? How about a niece who just got back from her honeymoon? 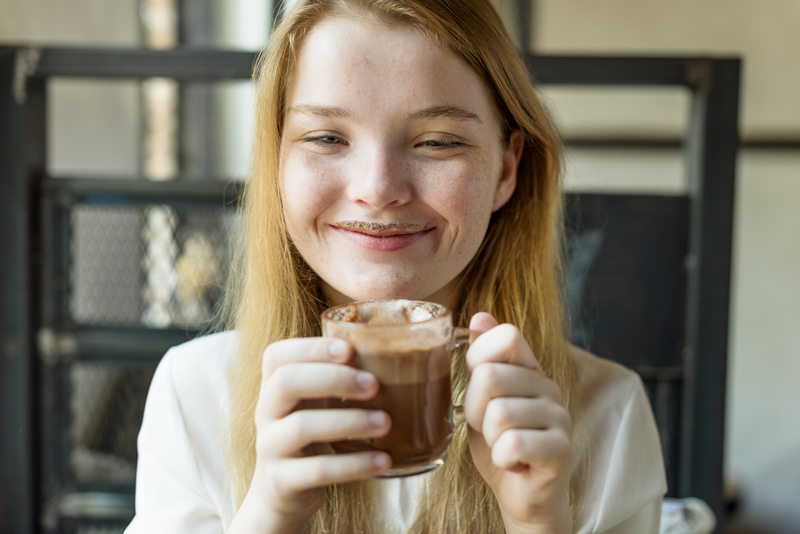 A college student studying in Switzerland? Give albums to them all! 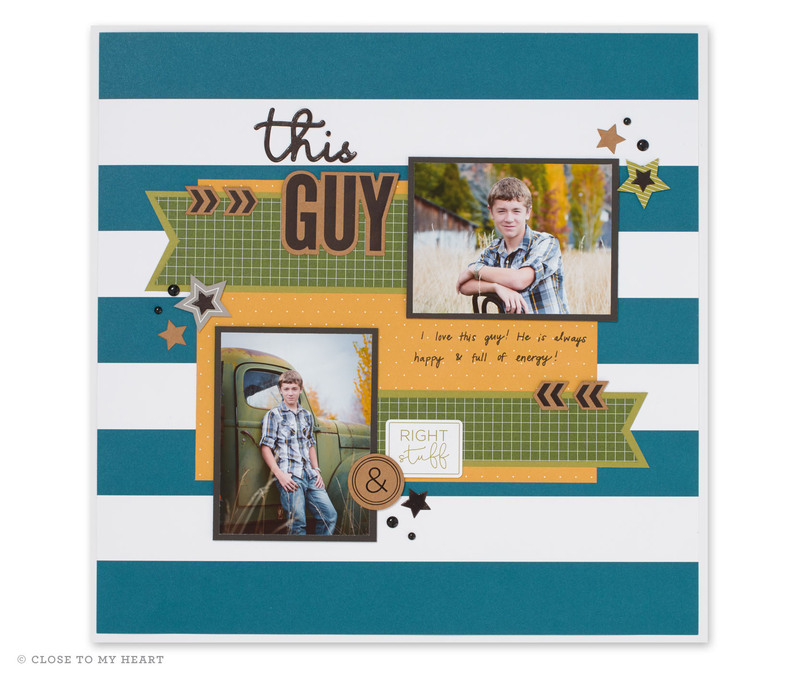 Children’s Scrapbooking: You’ve got the passion for scrappin’, but what about your kids or grandkids? 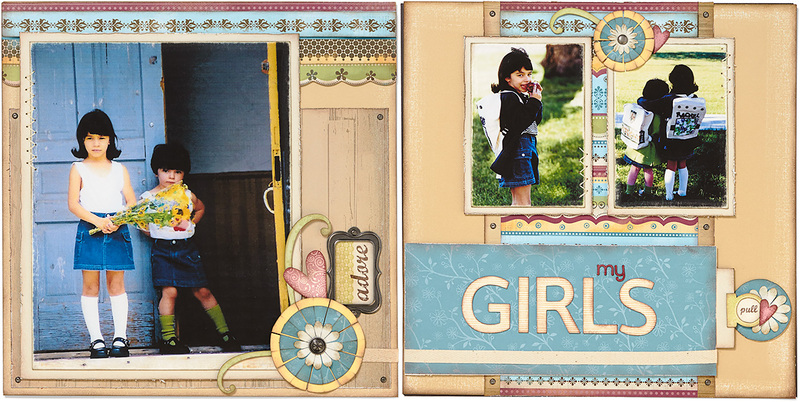 These mini albums can help teach “mini” people the importance of preserving memories. Show them the basics of how to assemble the album, then let them make it their own! They’d love documenting a school field trip, summer camp, or adding pictures about where they want to travel someday. Where do I put my photos? These small pages got me feelin’ claustrophobic! How do I get smaller photos? Not to fret! 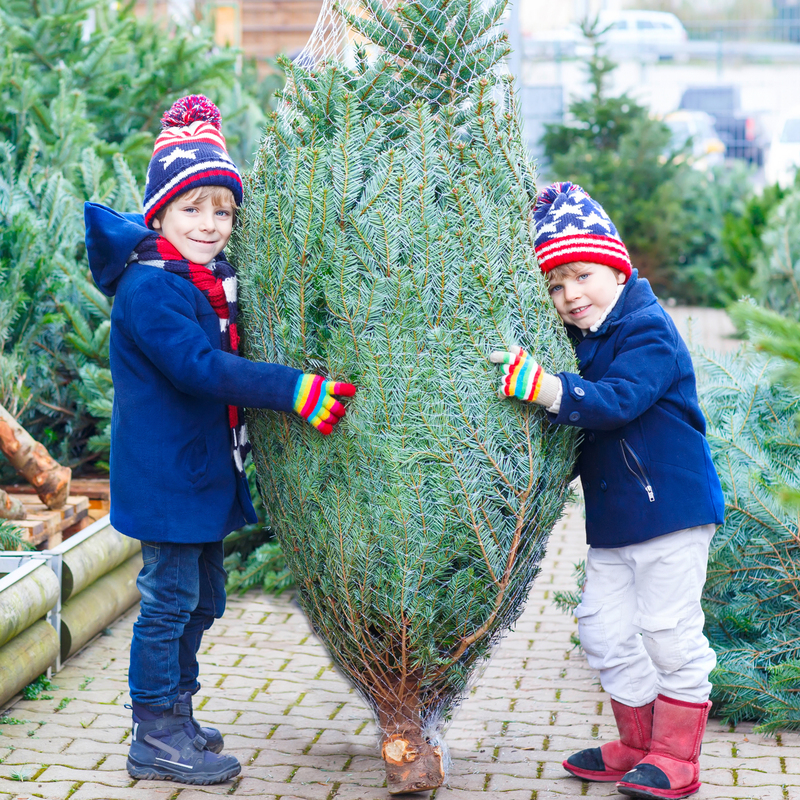 Our friends at Persnickety Prints have created a webpage just for us to make printing smaller photos easy peasy lemon squeezy! Where do I add journaling? Some other options? 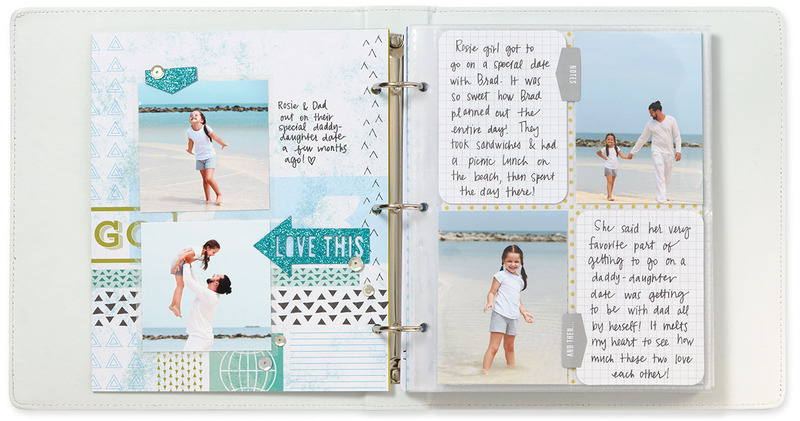 Write on Complements or our Picture My Life™ journaling cards, which you can slide into the divided Memory Protectors™. If you love having everything in Memory Protectors™, then go the 6″ x 8″ Memory Protector direction. Simply trim down the pages a little bit to fit inside this pocket and you’re golden. Think again! You can decorate these pages just as much as you do everything else! You can even decorate the cover! 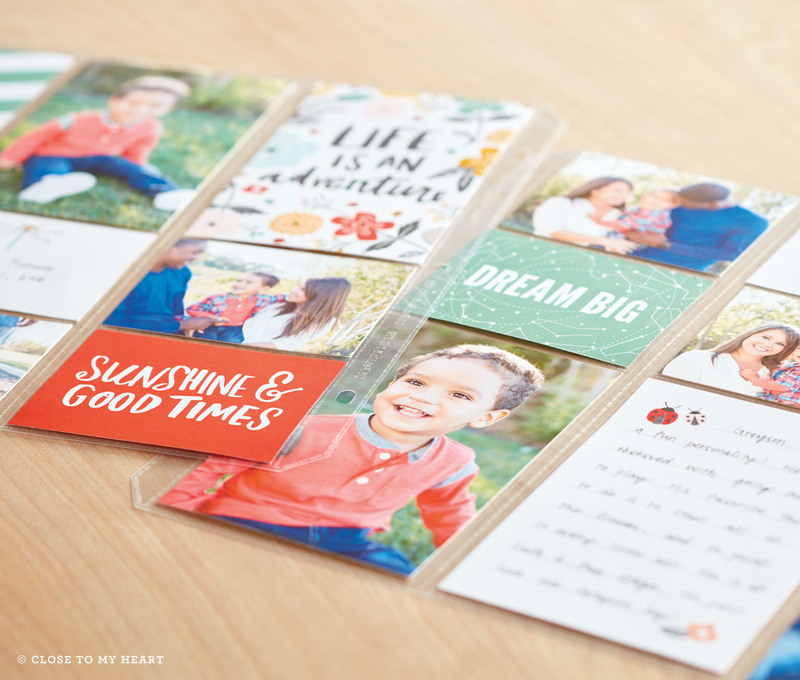 Hopefully we’ve helped make mini albums less scary—they really are so much fun once you take that leap of faith! Stay tuned for Mini Album Hacks: Part Two where we address any concerns you might have about our petite #Life albums! Another Free Christmas Scrapbook Pattern! ‘Tis the season for gift-giving, and as our gift to you, we’re sharing yet another free scrapbook pattern! 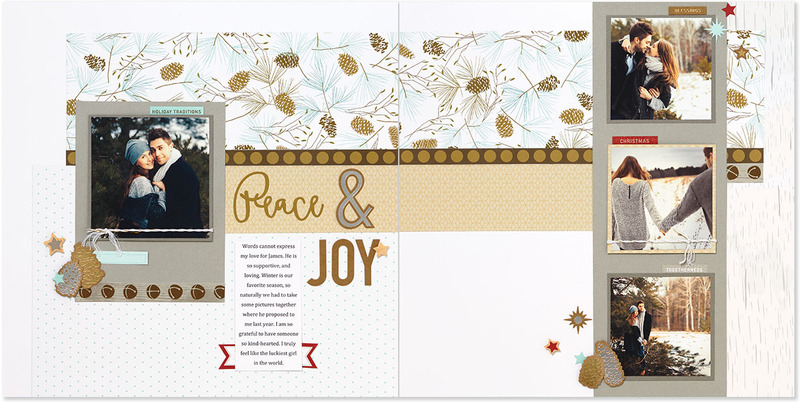 This pattern originally debuted with our Surf’s Up papers, but you can see that it works beautifully for creating a winter-themed layout as well! That’s the beauty of our patterns: When you switch out the papers, you can get an entirely different look! 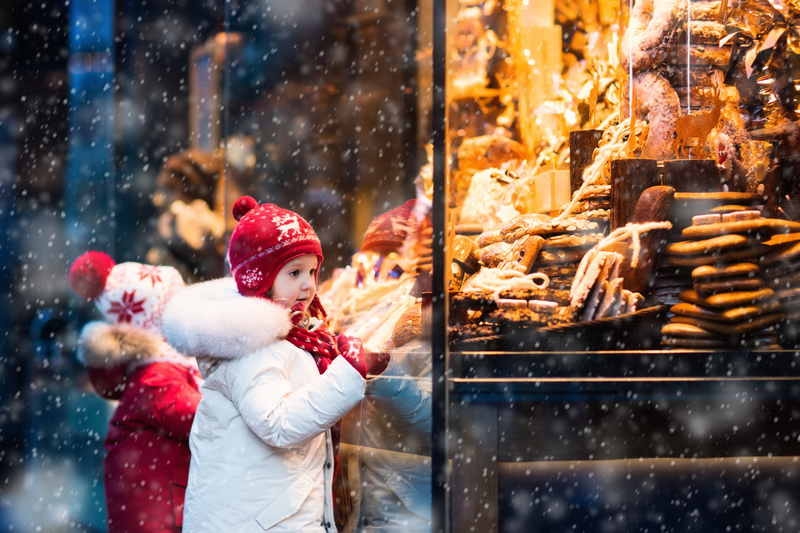 Download the pattern above, and then treat yourself to some warm hot cocoa and a little Christmas scrappin’! For even more timeless patterns, check out our collection of affordable how-to pattern books. We know you’ll love them! A Free Christmas Scrapbook Pattern! 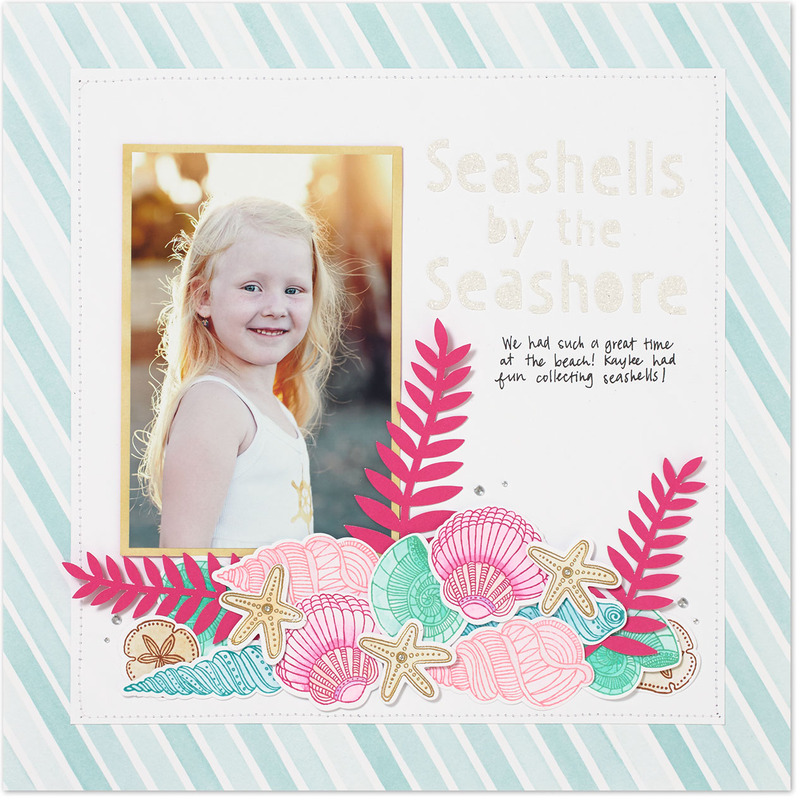 We take pride in being the “let me show you how” memory-keeping company, and in providing the most comprehensive patterns for scrapbook layouts. When you download this pattern, it also comes with cutting diagrams to make it even easier to create these pages! 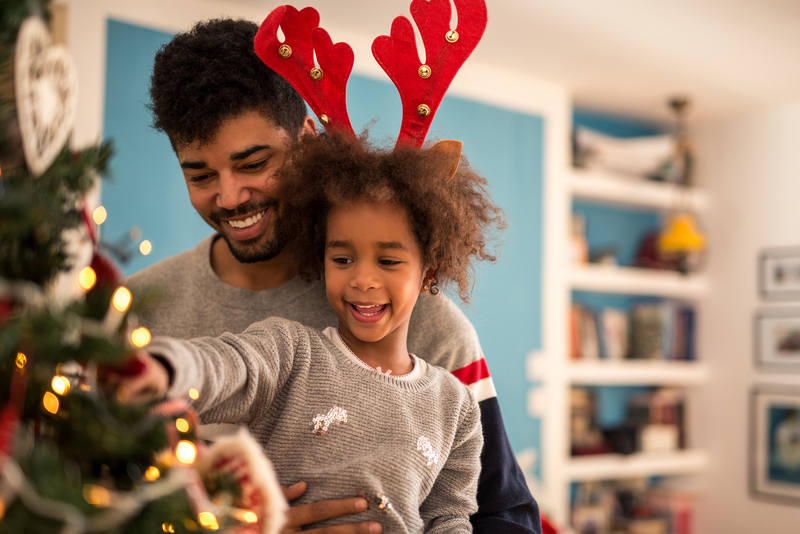 Notice that you don’t have to follow the pattern strictly—we’ve moved our title so we could use our “Most wonderful time of the year” stamp, and we moved our journaling, too, to mirror our square title. The patterns give you all the structure you need to set up your page, but then you get complete freedom in how your page turns out! 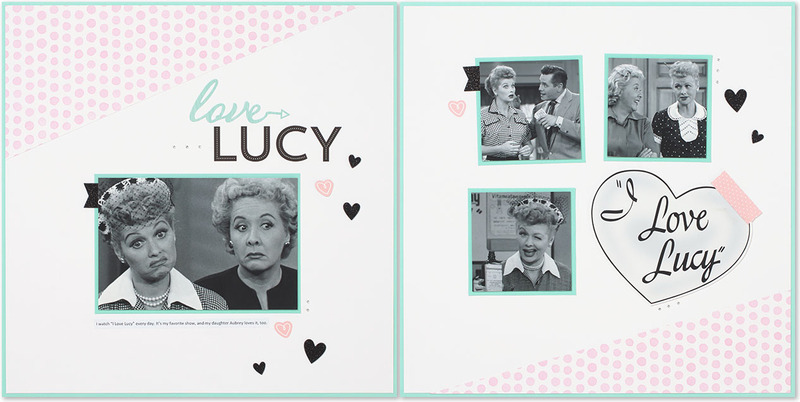 Download this free scrapbooking pattern, and let us show you just how easy scrapbooking can be!